FWE manufactures tough, durable portable bars in a variety of decorative styles. 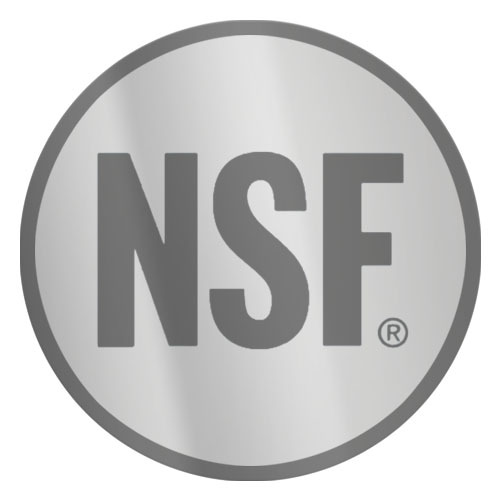 These NSF certified portable bars allow for any type of beverage service needed; conventional bottles and cans, post-mix, pre-mix, and bag-n-box dispensing. 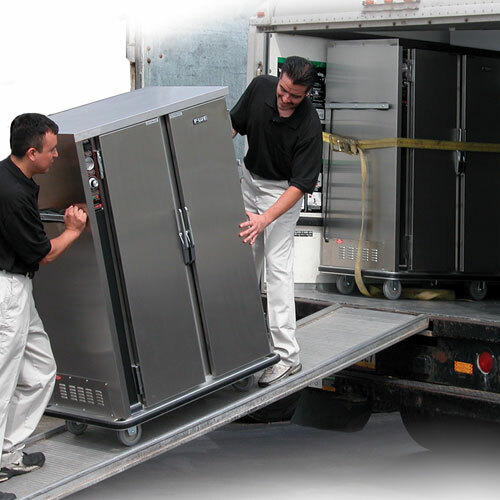 With a variety of sizes, styles and matching ice carts and back bars FWE has what it takes to make beverage service a breeze. 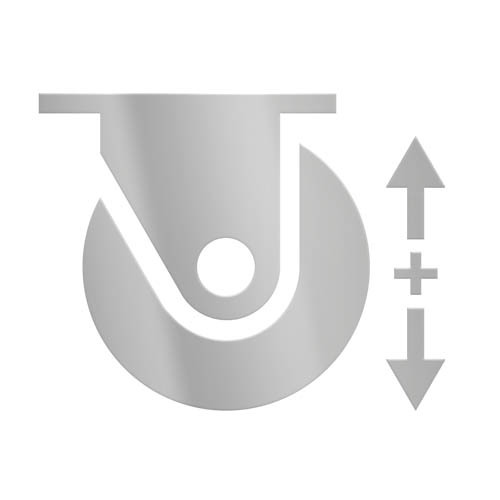 The FWE Weather-All Series Bars are constructed entirely of stainless steel. These attractive and functional bars are tough enough to be used outside year-round and beautiful enough to grace the most elegant banquet hall. Neither high humidity nor inclement weather presents a problem to the versatile Weather-All bar. 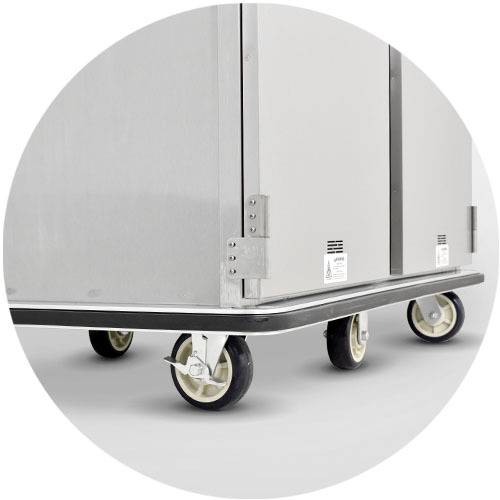 Because it is completely mobile on 5 inch diameter polyurethane tire casters, you can roll it to where the crowds (and profits) are, to save table service, labor costs, and provide faster service to the customer. When your beverage service consists of cans and bottles, also referred to as conventional bar service, the SCB-8 is the perfect solution. For small volume operations, or when a dispensing system is not necessary, the SCB is a profitable solution. This mobile bar is more comfortable and practical for the bar tender than using a skirted banquet table for beverage service. 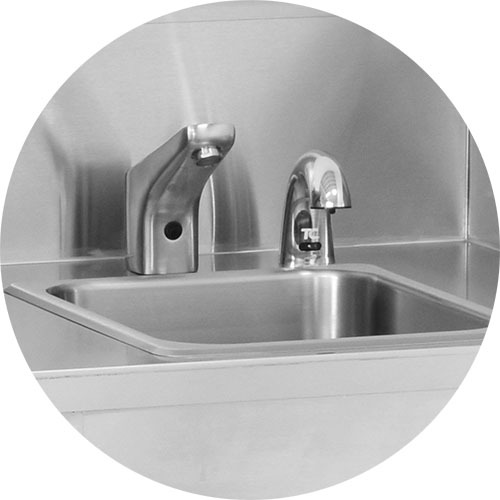 The SCB series is also provided with a built in ice sink that holds 60lbs of ice. 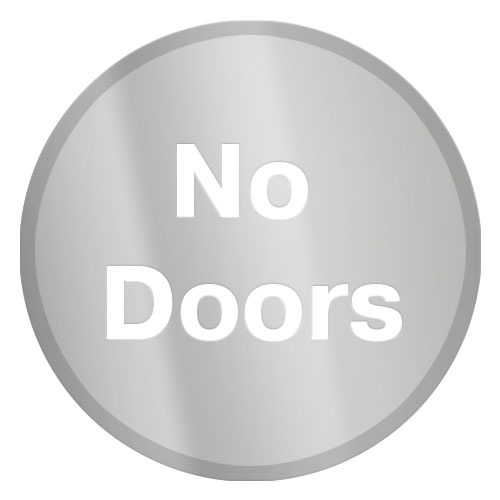 The stainless storage areas keep the cans and bottles easy to manage without frequent restocking. 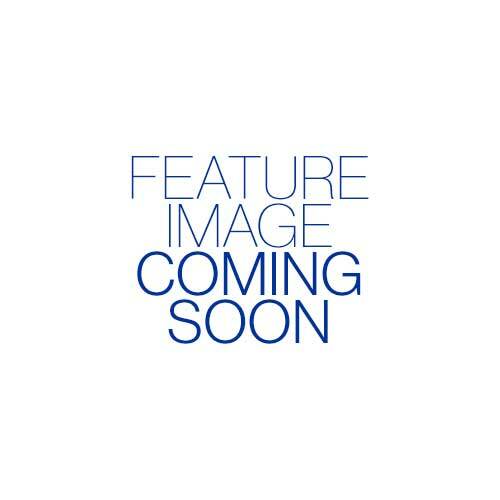 Also provided as standard options; speed rail to support bottles and prevent breakage, a 4 bowl server for drink garnishments and a convenient towel ring. If your looking for a banquet bar, portable bar, bar and restaurant equipment, NSF certified bars, catering equipment, mobile bars, commercial bars, conventional bar, indoor/outdoor portable bar, dispensing bar, heavy duty bar, professional bar, whatever you call it, we have a solution for you. Make your choice FWE... the "Choice of the Professionals". 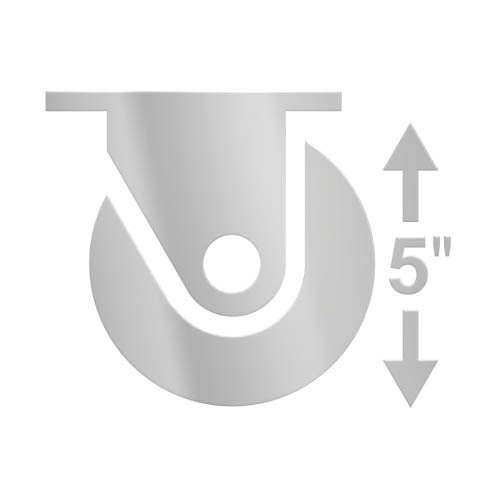 steel tubing with extra 10-gauge stainless steel caster corner plate reinforcements. shall have raised marine nosing to retard spills. CASTERS. 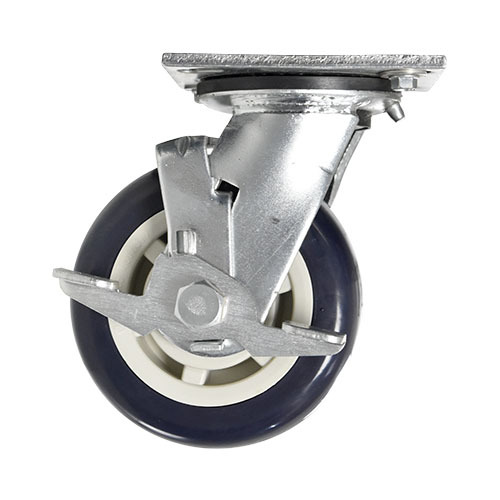 Maintenance free polyurethane tire casters in a configuration of six (6) casters: two (2) rigid casters and four (4) swivel with brake. Casters shall have a reinforced yoke mounted to 10-gauge caster plate. The caster mounting plate shall be secured to a 10-gauge stainless steel reinforcing stress plate via welded in place stainless steel studs. The reinforcing stress plates shall be welded to the heavy gauge tubular frame of the unit. ICE CHEST. Insulated ice chest shall be one piece stainless steel with coved corners: 19.75" x 12.75" x 10.5" deep with shut off drain valve. 60lbs ice storage capacity. 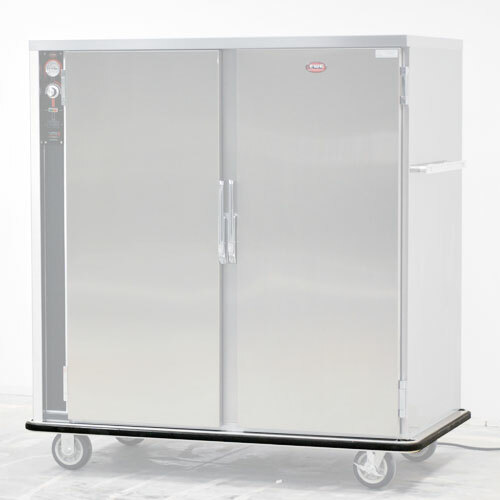 Ice chest includes two piece stainless steel sliding lid.